If you’ve been entertaining dreams of taking your website mobile, but weren’t sure where to start, consider getting your feet wet with QR Codes. In the simplest terms, QR Codes are the 21st century version of the bar code. Standing for “Quick Response,” these two-dimension pieces of matrix code are programmed to be used at high speeds. QR codes got their start in the manufacturing industry, where users would point, scan, select and move on. Soon, retailers and other businesses caught on to the QR trend and began using them on everything from magazine ads and business cards to candy wrappers and store windows. You may be wondering: How would I scan one of these codes if I don’t have a trusty scanner like I see at the store? I’m happy to say that if you have a mobile phone with a camera and a QR reader application, then you’ve got yourself a scanner. Creating and using QR Codes is extremely easy. All you need is a QR Code Generator. I’m personally a fan of Kaywa.com (http://qrcode.kaywa.com); however, if you search for QR Code Generator in your favorite search engine you will likely find one that suits your needs. Once you’ve arrived at your QR Code Generator page, decide what you want the eventual QR code to point to. Do you want to point people to your website? Maybe your phone number? Perhaps a text message? Whatever you choose, include that information and then choose the size of code you want. The code you see above is a size L; there are smaller sizes and an extra large size available. After you’ve indicated the size and destination of your code, select the Generate button. You’ll see code that you can then plug into a website, blog, or other documents. You can also save the image (right click > Save As) to use the QR code on a business card or other print out. Now that you’ve created the QR code, how can you use it to go mobile? Remember, I said we’re just getting our feet wet. These codes won’t magically produce a mobile app for you. What they will do is help act as an extra calling card or marketing tool for potential customers who can’t make a purchase right that very instant. As an e-commerce retailer, consider adding QR Codes to specific pages or products on your site (for example: discounted merchandise, new products, a “Don’t want to miss this!” product or page). Again, think of QR codes as an electronic flier that your customer can have handy on their mobile phone. 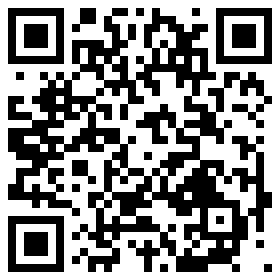 If you want to test if your codes are working, consider creating a special URL on your site for QR Code related items. Anyone that arrives at that page did so through a QR code. This might be a little new fandangled for most people, but QR codes are quickly becoming the next big thing according to many industry experts. Nice post. If you plan on using QR Codes to redirect to a URL I recommend first putting that URL through bit.ly or tagging the URL with google analytics. This way you can tract the click through rates of the QR Code and see how effective it has been.